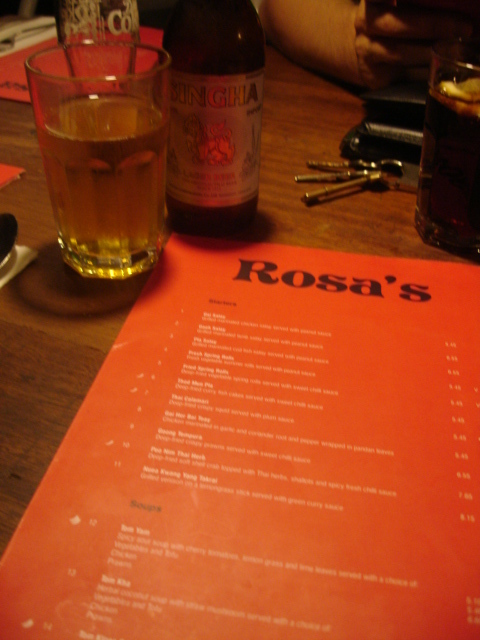 I’ve been to Rosa’s in Spitalfields before and loved it, and the newer one in Soho is also great. Its slightly more expensive than “cheap and cheerful” (you’re talking £30 each rather than £15 each) but the food, although not mind-blowing, is a cut above many Thai places like Thai Metro or Siam Central (which I also like); and the venue is lovely – with cute little wooden boots and red lanterns. We started with an ice cold Singha beer (sooo good, made me want to be back in Koh Chang on the beach, sigh…) with prawn crackers, and then ordered the fresh vegetable rolls which were really tasty, with a delicious peanut sauce, and the deep fried crispy squid which were salty, succulent and more-ish. 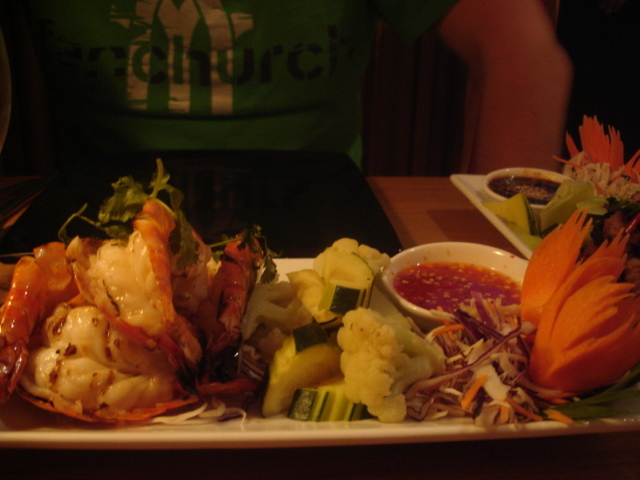 We then had the char-grilled jumbo prawns served with spicy fresh chilli sauce and cooled steamed vegetables – these were a bit special with giant juicy prawns – nom nom nom (see photo below). 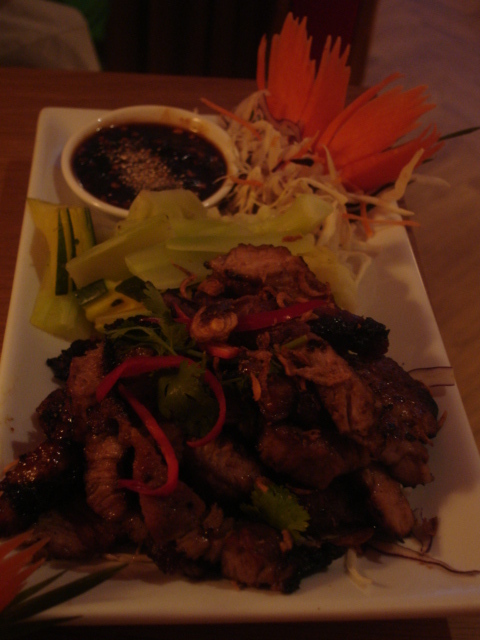 And the marinated pork served with spicy dry chilli sauce and cooled steamed vegetables which was tasty but a little dry. All washed down with an unoaked chardy – perfect. PS Sorry this review is a little lacklustre – I’m a bit distracted watching my new guilty pleasure in the background (Cougar Town, ahem). Went to this gorgeous little Thai place by the Truman Brewery, opposite Spitalfields market, with my friends Lottie and Alice. 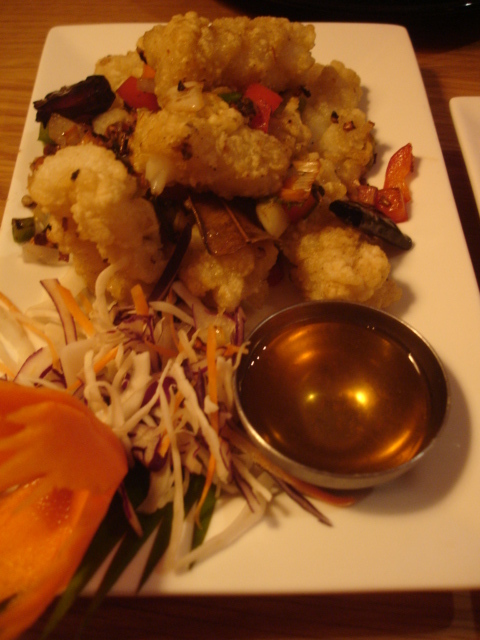 Started with salt and pepper squid and prawns which showed a really light touch, and followed with stir fry duck and vegetables and rice. 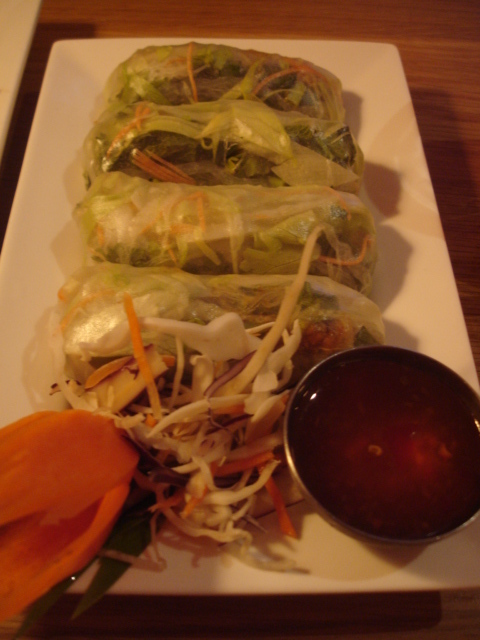 Good honest cooking and excellent service which is a cut above most thai places I’ve been to. Shared bench tables, but actually feels very intimate even though you’re sharing with other people. Highly recommended! 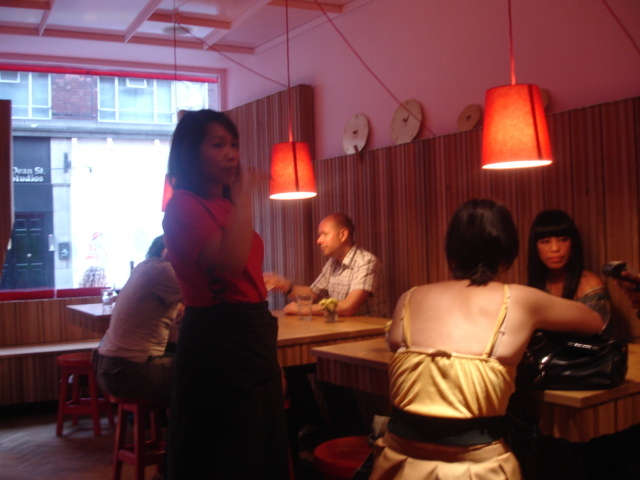 UPDATE: Rosa’s opens in Soho on Thursday 11 March 2010. I can’t make it – gah – but if it’s as good as the Spitalfields version then I’m sure it will soon become a favourite for good value and delicious food in central London!